After taking a little time off, I'm back into the swing of things. I've got two new prototypes on the horizon, one of which just landed on my games page (Oh No My Patio!). The other is a simple 2D platformer that I developed to get a better understanding of the Unity tilemap features. I've also started working on a new skill that I've always been woefully bad at - drawing. This comes with learning Photoshop a little better and working hard on the fundamentals. So here is my first attempt at something I might actually be able to use in one of my prototypes, a wooden crate! It's not the most impressive thing in the world, but I did say I was bad at drawing! It's been a while since I posted, so happy new year to everyone! I hope you all had a nice relaxing break over the holiday period. 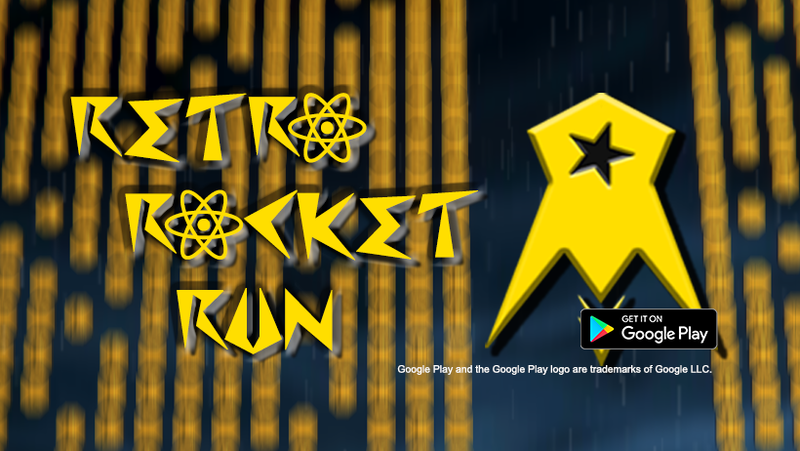 Retro Rocket Run is coming along nicely, if a little slower than originally anticipated. Beta Release is slated for early Feb with the full release happening very shortly after that. I've also planned out all the achievements for the game, so the next biggest tasks will be integrating with Google Play Services. I'm still really excited for this game and if you are too then I recommend liking the game on Facebook here. I'm usually a bit more active with my posts there and you'll even get the chance to help guide development directly with your suggestions! ... Well there's a dramatic title for you! On to more exciting news. My RPG has taken another baby-step forward. Literally. Today I primarily focused on tightening up the movement controls. They're still not perfect, but are definitely getting better. I also threw in some Gizmos to help me see what the character is doing when I tell him to get his arse in gear or defend his honour. The health bars are all just temporary placeholders and don't do anything yet. I'm not sure they ever will, but since my guy will be learning to swing a sword next I figured I might want to see what happens when the enemies start fighting back. Next up will be basic combat training, before teaching everyone to solve their problems with words. I'm thinking that combat will take a fairly minor role in the game so don't expect anything too impressive in the next installment! Well things are on the go slow this week. I was away over the weekend, so didn't get any work done. I've also got an assignment due in on Wednesday, so most of my Monday was taken up with that. Hopefully things will free up mid-week and I'll have more to share by the end of the week. On the plus side, I did get some time to code this evening! In a few short hours I threw together a UI drag and drop system, which I could be used as the basis of a Magic: The Gathering style clone. It could also be adapted to work as an inventory system or anything else that requires you to move something from one place to another. Something I may well use for Project "Blackwood". Speaking of my RPG, I also made a small amount of progress there too. My hero can now move with point and click controls and I've added some affordance to the cursor, so you can actually tell what you're clicking on (roughly). No pictures this time around - Go play the demo on the Games page! I'll make sure to put some in next time though, or I may treat you to a little video or even a demo.